We live in a busy, fast-paced world. Between dropping the kids off at school, performing well at work, hitting the gym, being a good spouse and parent, and still getting the bills paid on time, it can feel like life is a 100-hour battle crammed into a 24-hour window. We all aspire to take more time for ourselves and maybe even improve the appearance and health of our skin, but who has the time for multiple treatments and extensive downtime? 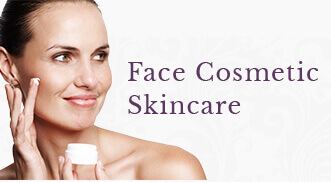 Especially if you have several skin concerns like fine lines, sun damage and acne scarring? As it turns out, you DO have time if you are pursuing treatment with the new Halo™ laser by Sciton! The Halo™, created by Sciton, the industry’s leader in aesthetic lasers, provides patients with a unique opportunity to treat multiple skin concerns in ONE treatment. Unlike other lasers on the market, the Halo™ features dually-emitting wavelengths. These two light sources simultaneously deliver both ablative and non-ablative energy to the skin. If you believe in the analogy “two birds, one stone,” this is how it applies to laser skin treatments! 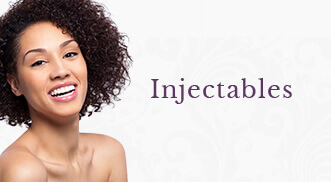 What’s the Benefit of Ablative and Non-Ablative Lasers? Although they both harness the energy of light, these two lasers work very differently and target different aspects of your skin. Ablative lasers (CO2 and erbium lasers) work by vaporizing the outermost layers of your skin and encourage your tissue to heal and regenerate with fresh collagen. These lasers can be administered very deeply to treat prominent wrinkling, skin lesions, and facial scarring. Non-ablative lasers are less invasive than their ablative counterparts by nature. These lasers (Nd: YAG, pulsed-dye, alexandrite) use targeted heating to raise the temperature of your cells without destroying them. This attribute also encourages your body to produce more collagen as it heals and naturally tightens the skin. The Halo™ combines BOTH of these lasers. It generates microscopic depressions into the skin and then heats these areas to encourage advanced collagen production. Not only is a reduction in fine lines, wrinkles and pore size noted after one treatment, patients also experience a dramatic improvement in skin tone and clarity. Because of this 2-in-1 type benefit, many patients with busy schedules are seeking out treatment with Halo™. The downtime for this transformational laser treatment is minimal, and many patients are back at work a day or two after their treatment. After your skin has been numbed with a topical agent to reduce sensation, a full-face Halo™ treatment takes only 20 to 30 minutes. The laser has an integrated cooling tip which keeps the skin comfortable during and after treatment. Most patients say they feel a little heat and occasionally a prickling sensation. Your skin will feel slightly sunburned and flushed after your treatment and will stay pink for a few days. Our Providers will equip you with a post-procedure skincare kit (included in the price of your Halo treatment) to expedite your healing, including Oxygenetix® foundation with sunscreen. Aloe Vera barbadensis is the first ingredient in this healing foundation, and it serves as a protective second skin, and completely covers any redness you experience. After 24 hours the skin will begin to peel. After two to three days you will develop a light bronzing appearance. By day three or four your skin will shed the remaining dead skin, revealing your new, fresh, radiant skin beneath! Are you interested in improving your skin’s smoothness, tightness, and tone? Do you have a busy lifestyle and want a treatment with minimal downtime that still produces great results? Call (651) 632-9700 to schedule your Halo™ consultation today!